KINIGUIDE | With the latest batch of court filings, the US Department of Justice has raised the amount it seeks to recover from 1MDB-related misconduct to nearly US$1.7 billion (RM7.3 billion). It claimed that the sum represents a portion of the over US$4.5 billion (RM19.3 billion) that were allegedly misappropriated from 1MDB, and then routed through the US financial system. While Malaysians are still reeling from the shock of the DOJ bombshell, this instalment of KiniGuide will take a step back and see what the US law enforcement agency has in store in its third batch of 1MDB-related civil forfeiture suits. Third batch of lawsuits? What did I miss? The first batch of lawsuits was filed at the California Central District Court on July 20 last year. There were 17 separate filings in total, with each seeking the civil forfeiture of a different asset. Each document - about 136 pages long - is nearly identical to one another, but is aimed at seizing a different asset. In total, the aim was to seize about 20 assets including funds held in banks, shares, intellectual property, and a private jet, with a combined value of over US$1 billion. 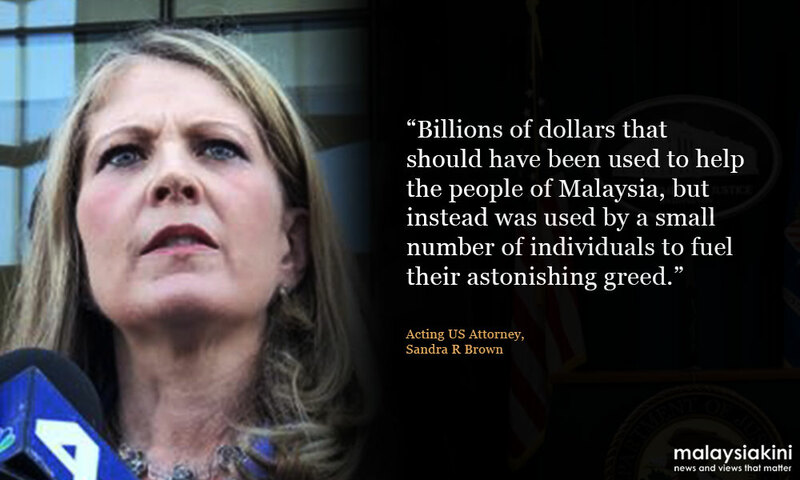 At the time, the DOJ claimed that the amount embezzled from 1MDB was about US$3.5 billion, siphoned from the state investment fund in three phases from 2009 to 2013. The second batch was a single complaint seeking to seize about US$100 million worth of real estate in London’s upmarket Mayfair district. It was filed on June 7 at the California Central District Court. This time, the document is 144 pages long, but little had changed compared to the documents filed last year. The document has an additional section describing how the properties were supposedly purchased using funds that were traceable to a misappropriation from 1MDB. In addition, it dropped all mentions of the unnamed Saudi prince who supposedly remitted funds to a certain “Malaysian Official 1”, and all mentions of the prince was replaced with “Saudi Associate 1” and “Saudi Associate 2” (or collectively, the “Saudi Account”). In an apparent move to correct a mix-up that led DOJ to identify the wrong painting for seizure, the new filing also named a different painting by the artist Claude Monet for seizure, and only the proceeds of the painting’s sale rather than the painting itself.